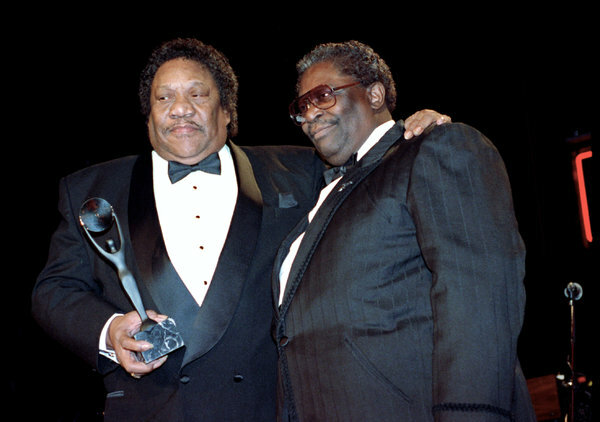 Bobby (Blue) Bland, the debonair balladeer whose sophisticated, emotionally fraught performances helped modernize the blues, died on Sunday in Memphis. He was 83…. 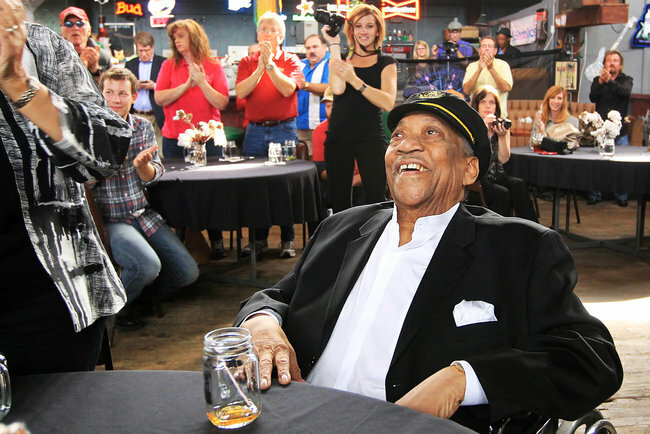 Heaven done called another blues singer back home. The old bluesmen were such a treasure, and one by one they are vanishing. The New York Times posted this photo of Bobby Blue with B.B. King, taken in 1992. B.B. is 87 now, and we can only hope he lasts forever. This entry was posted in In the News, Music, The Blues, Uncategorized and tagged B.B. King, Bobby Blue Bland by stephenbromberg. Bookmark the permalink.